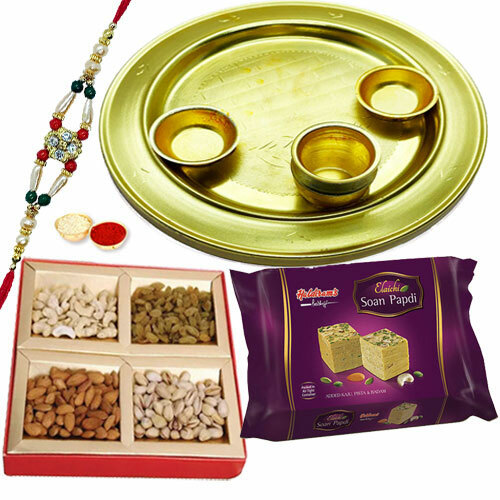 Embrace your brother, cousin or any favourite person with this Graceful Rakhi with Sweet and Salty Thali that also includes a free Rakhi, Roli Tilak and Chawal. The set of 100 gm. Soan Papdi along with 500 gm. mixed Dry Fruits along with Silver Plated Thali is ideal to make your sweet brother feel very special on that special occasion. The design of Rakhi may alter.